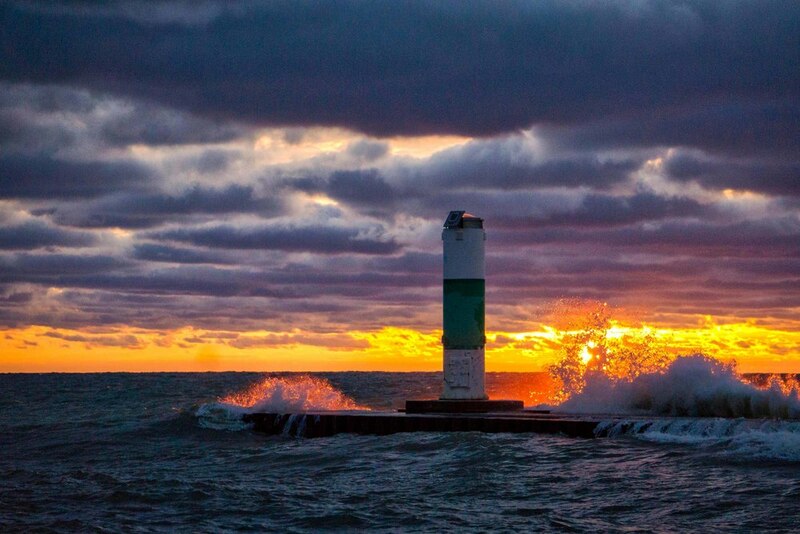 The east coast of Lake Michigan… known for its beauty, awesome little towns, food scene, and hospitality. Our first stops lived up to the reputation… every town had its own personality and we thoroughly enjoyed exploring, eating, and playing in each! From Grayling we drove about 4 hours south west to Covert, which is about 10 minutes away from South Haven. 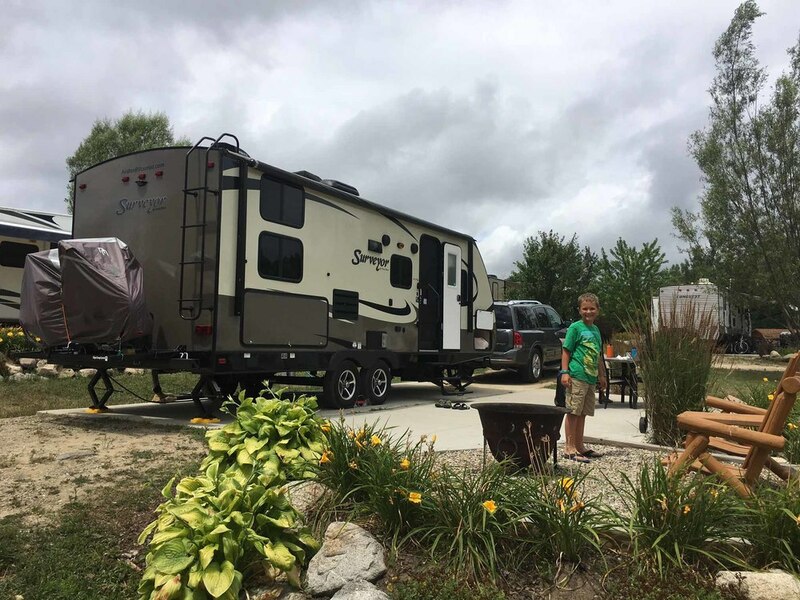 We stayed at the KOA Covert/South Haven and loved it. 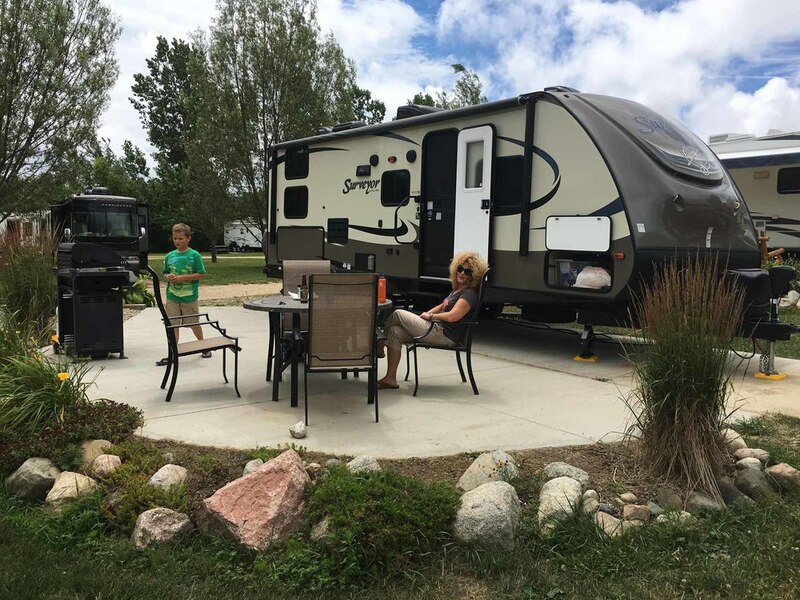 Our site wasn’t woodsy, but after traveling for 4 weeks, the full concrete pad, patio, gas grill, and patio furniture were welcome! This campground has it all… great activities for kids, little fishing ponds, a nice nature trail, great washrooms and showers, and even blueberry patches (they offer picked or u-pick blueberries)! We loved this area and have some general observations as well as specifics regarding each town. These are popular spots! All are hopping, especially on the weekend. Our visit happened to be Friday, Saturday, and Sunday and the towns were bursting with excitement. This is fun, but it’s important to plan ahead to make lodging reservations… there are lots of options including motels/hotels, bed and breakfasts, campgrounds, and cottage rentals… there’s just lots of demand! Also, the restaurants were packed and many don’t take reservations. We just put our name in and explored, but it’s important to know that it could take up to an hour to get seated. 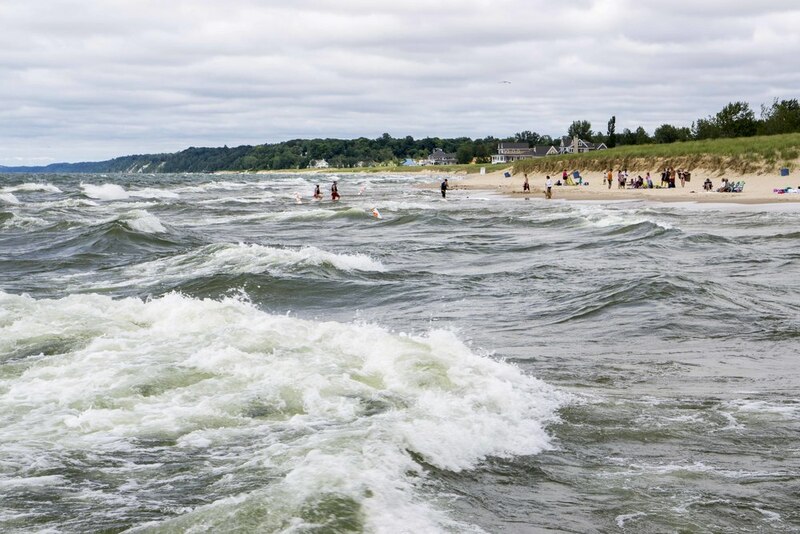 If you love beaches, St. Joseph, South Haven, and Holland have fantastic public beaches. All are quite large and get crowded. The vibe is especially fun for kids… lots going on and lots of kids to play. However, it’s not a serene beach experience! There is a lot to do… really something for everyone. There are a number of state parks and recreational trails for biking, hiking, and running. There are wineries and great breweries, which have tasting rooms and restaurants in the towns. The beaches are great. This area really is one where you can choose your experience… a couple could enjoy a romantic time together and a family could have a great time too! This is a beautiful little town! When we got to St. Joseph we headed to the lighthouse. 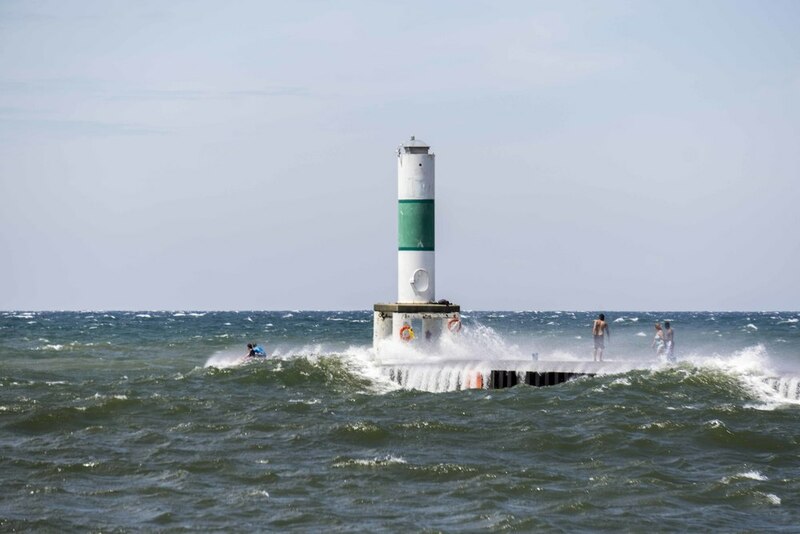 The lighthouse is located at Tiscornia Park, which is north of town across the river. 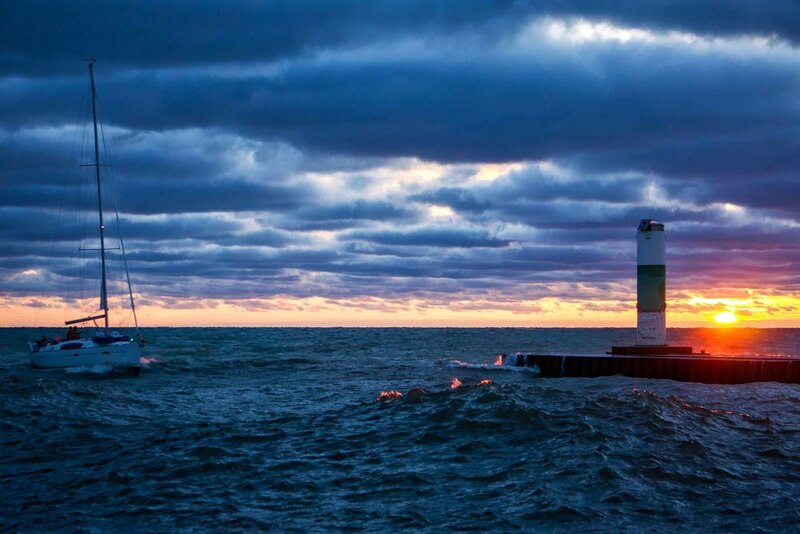 There’s a long pier that leads to 2 lighthouses, which are really beautiful. Tiscornia Park includes a beautiful public beach with soft sand and water shallow enough for swimming. There’s a pay parking lot ($5 for the day) and washrooms. After spending some time at the light house we crossed over the river to visit the town. At first we were a little confused finding the “town”… we were on M-63 and needed to cut over a couple streets closer to the beach. Once we figured this out we found a great town with a great vibe… people all over enjoying themselves, a classic car show, and lots of cute little shops and restaurants. 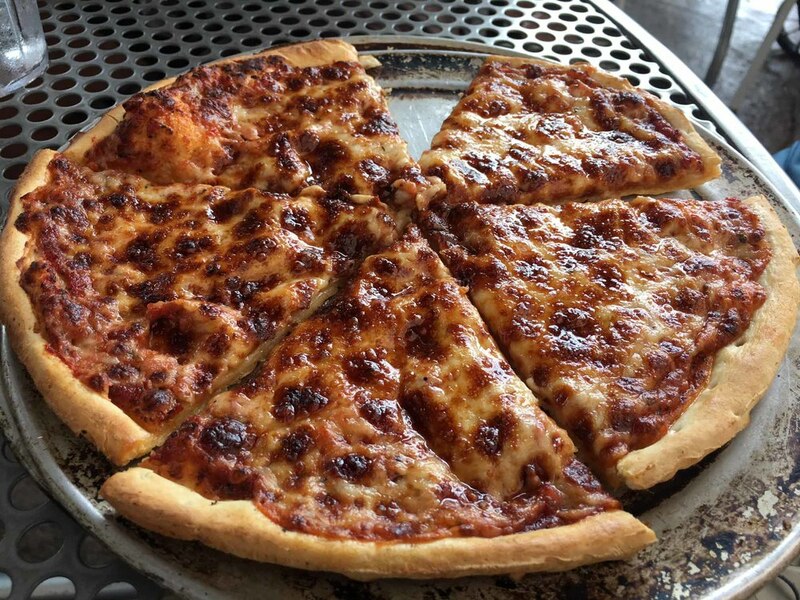 We checked the reviews of restaurants in St. Joseph… after being in the UP for a while we were looking forward to a great meal out! We selected Silver Harbor Brewing Co. which was fantastic. From the moment we arrived we knew we’d love it… there was a great little package of activities for Daniel, the place was crowded, and the food looked really good. 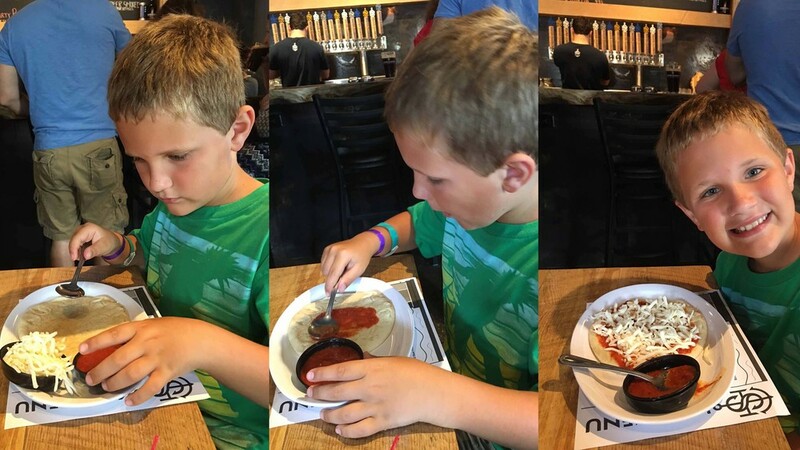 Daniel ordered “make your own pizza”… the kids get to put the toppings on their pizza before it is cooked… he loved it. 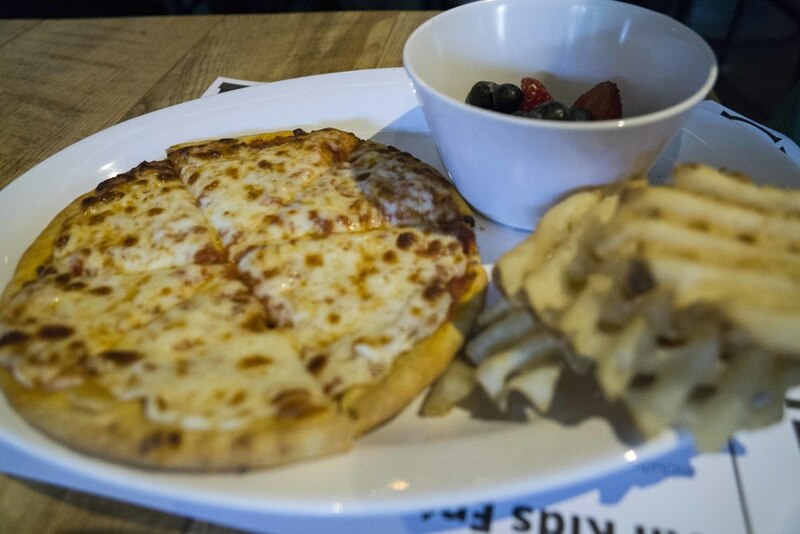 Fruit and waffle fries also came with the pizza. Todd ordered a burger and salad and I had the Southwest Salad. 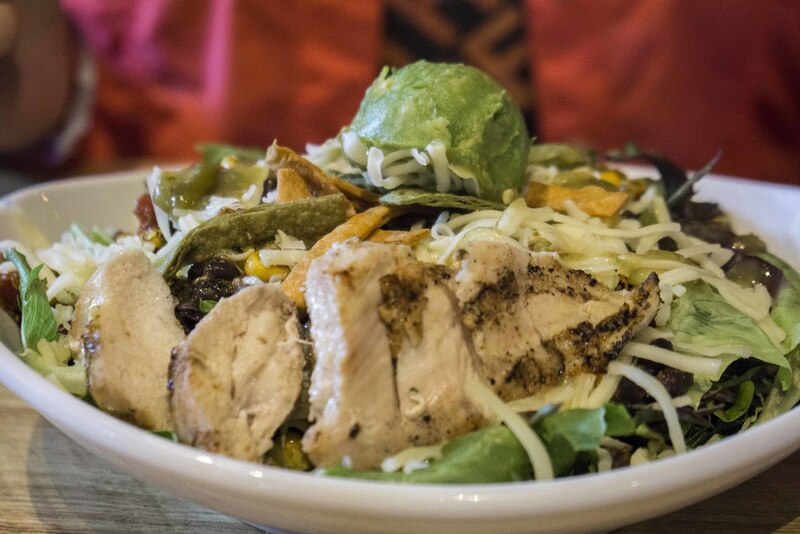 The ingredients were very high quality and fresh, and the food tasted awesome! 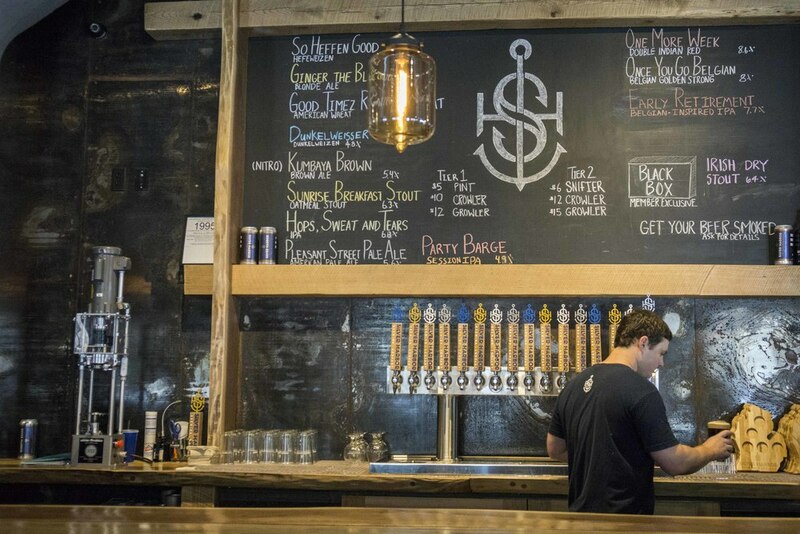 An item to note… Silver Harbor Brewing only serves its beer… no other beer, wine, mixed drinks, etc. After dinner we strolled through town and the classic car show. I visited a cool little shop called Olive Cart and picked up some awesome olive oil and balsamic vinegar. 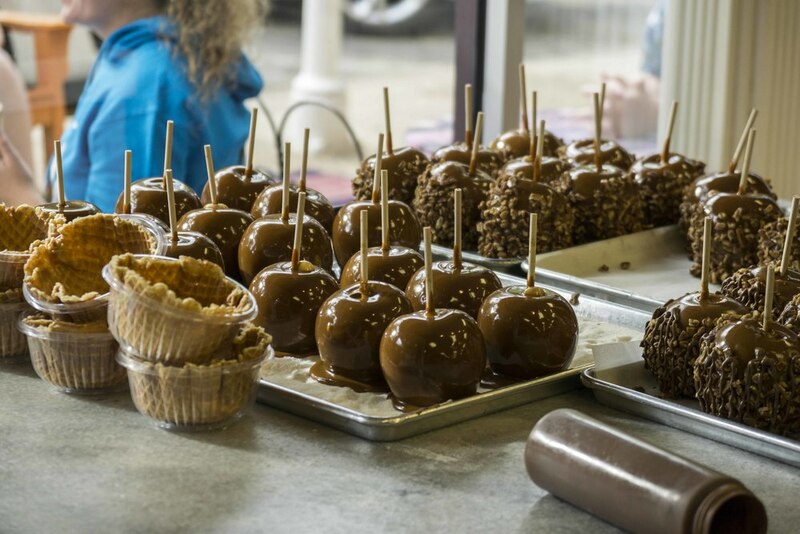 Daniel and I had ice cream at Kilwin’s, which also has chocolate and candy apples. Before leaving, we went to Silver Beach County Park, which includes a beautiful beach with lifeguards, tons of volleyball nets, and lots of people having fun. There’s also a recreational trail around the beach and surrounding area which looked great for biking, walking, running, etc. 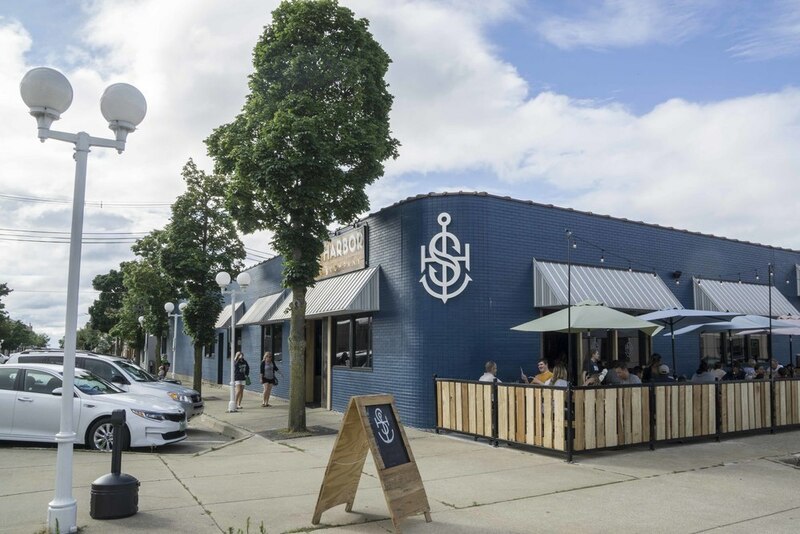 Wow… South Haven is quite a place… from the beach to the town to the restaurants to the surrounding area… this is a happening spot! 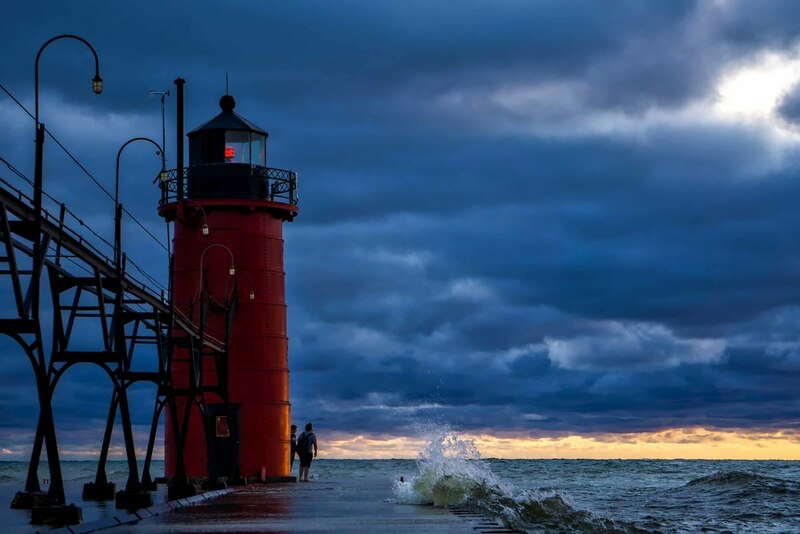 We enjoyed South Haven in the evening at sunset and the following day for lunch and an afternoon walk… both times we found South Haven energetic, fun, and welcoming! When we arrived at South Haven we drove through town to the beach. There’s a large public parking area that costs $9/day, a playground, a snack shack, and washrooms. The beach is beautiful… lots of soft sand and shallow water. 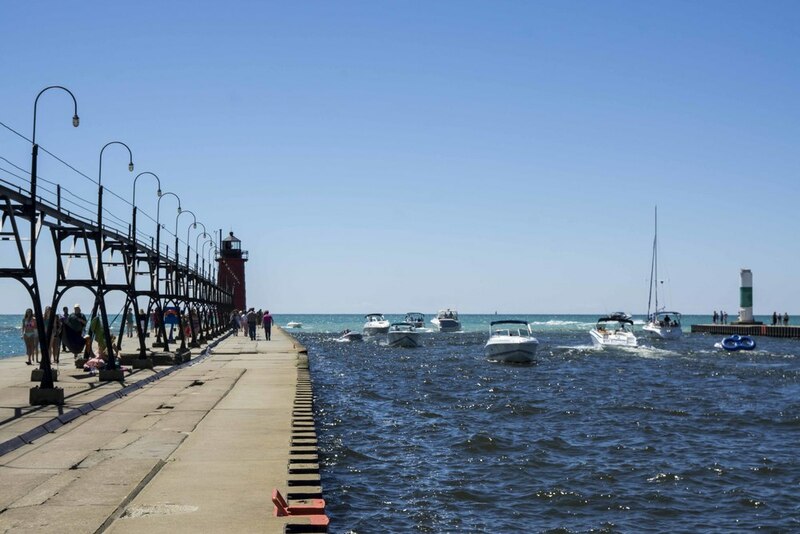 There’s a long pier to the lighthouse along channel leading to the marina… a very picturesque spot. Todd took pictures of the amazing sunset while Daniel had tons of fun on the beach. As we drove out of town we agreed that we’d have to come back to experience South Haven during the day! 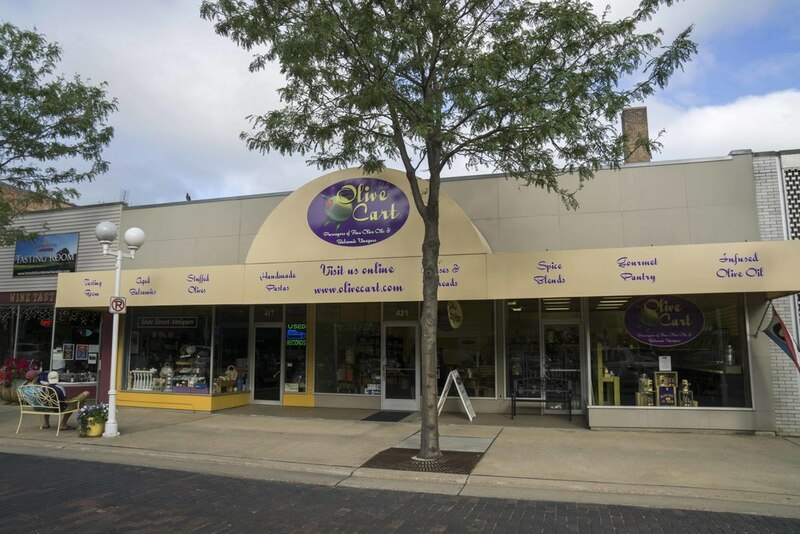 South Haven includes not only the beach and downtown area, but a surrounding area with stores, gas stations, hotels, etc. 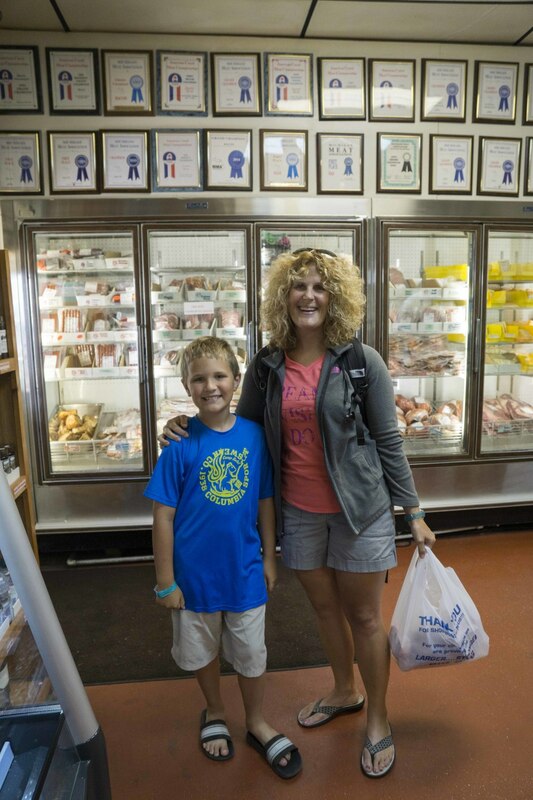 We needed to pick up some meat and produce so before going to town we went to a local meat shop and a farm market. Bob’s meats is on 16th Ave. about 10 minutes east of downtown and is definitely worth the trip. 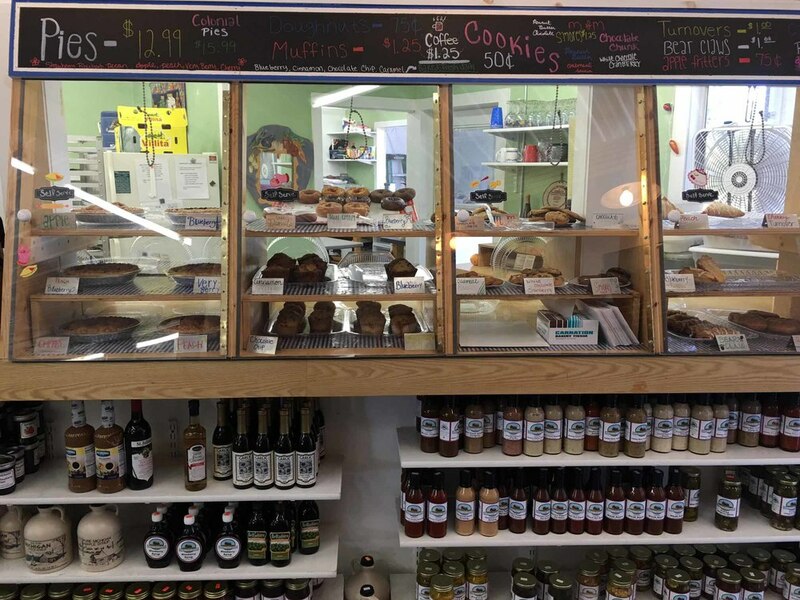 Bob’s has house smoked fish, cheese, and meats as well as a large assortment of meat that’s not smoked. We picked up smoked whitefish, smoked cheddar cheese, flat iron steak, pork chops, ham, bacon, sausage, and some jerky... everything looked so good and we had to remind ourselves that we can’t fit too much in our little trailer fridge! 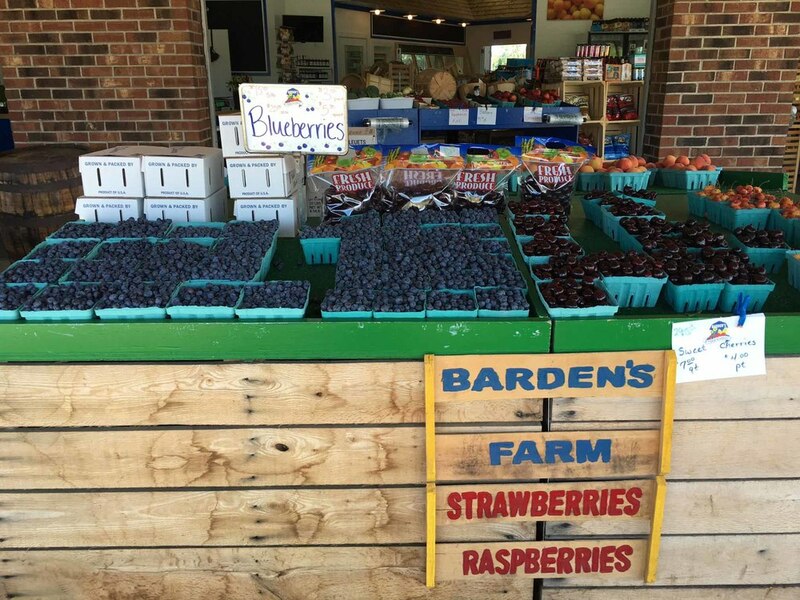 Our next stop was Barden’s Farm Market on Phoenix St. just out of town. 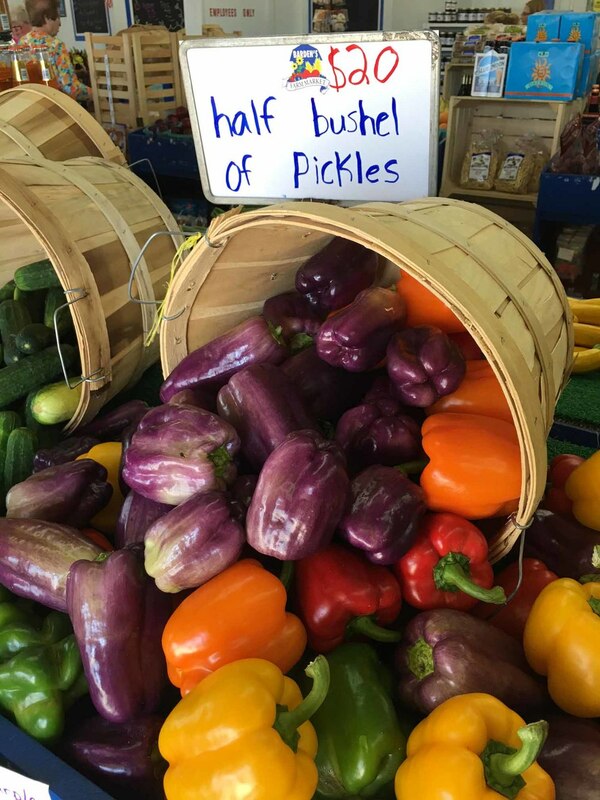 Barden’s Farm Market is another gem! Awesome fresh produce… they had everything we needed… blueberries, cherries, tomatoes, assorted peppers, cucumbers… we found everything on our list. 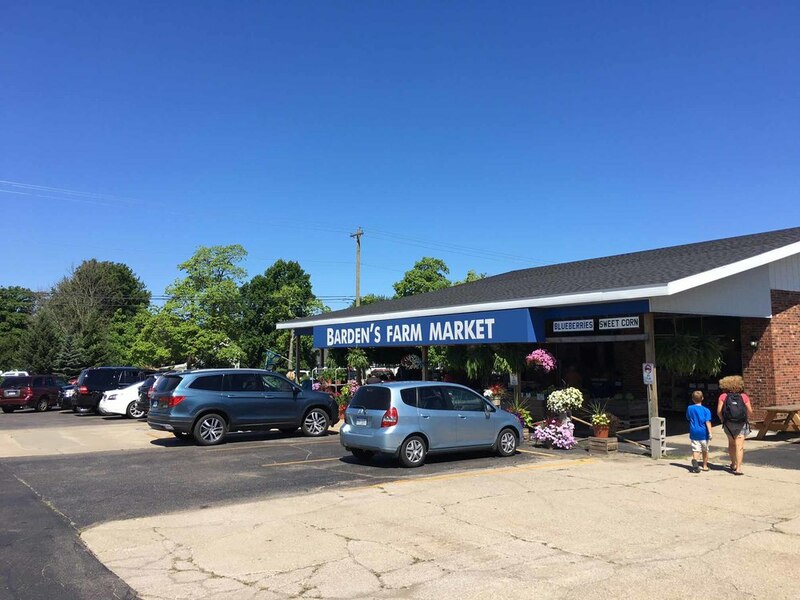 Barden’s Farm Market also has an assortment of cheese, some meats, a bakery, a great wine selection, and a wide variety of Michigan micro-brews (some of the best around). Now to town… it was a beautiful day and town was hopping! We couldn’t find a parking spot, so we crossed the street (east of town) and parked on a quiet side street. All of the restaurants had waits for lunch, so we put our name in and explored a bit. We found lots of fun stores… a couple cute toy stores, a number of candy shops, clothing stores, and novelty stores. 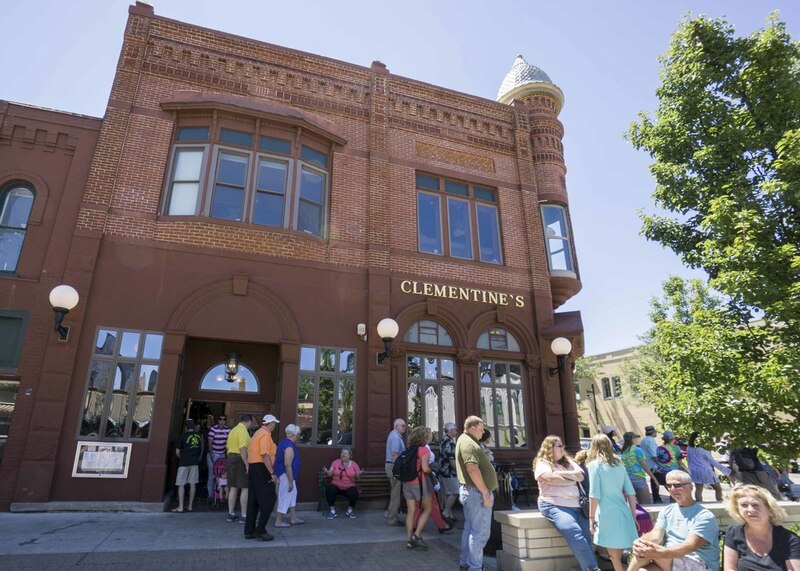 We had lunch at Clementine’s, a popular South Haven restaurant that serves a variety of salads, sandwiches, burgers, and entrees. Todd had a fiesta taco salad, I had a spinach salad with salmon, and Daniel had chicken fingers. All were very good. 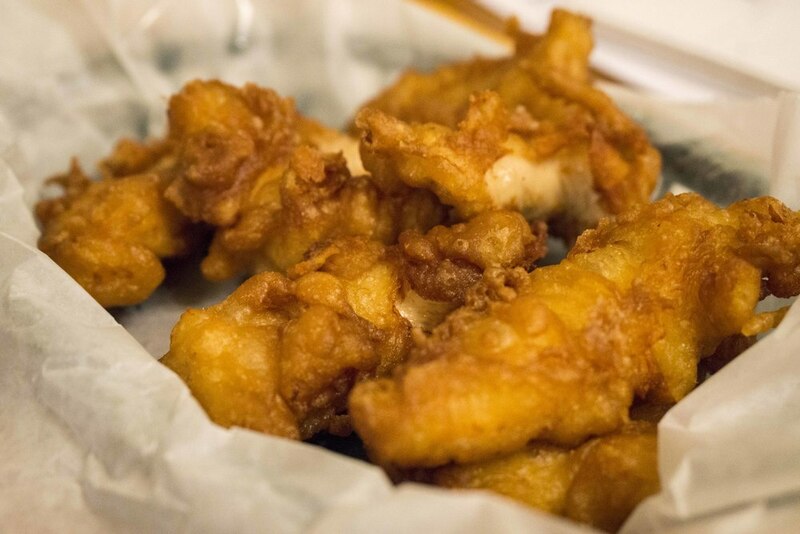 Daniel’s chicken fingers were especially high quality. After lunch we headed for the beach, which is a 5 – 10 minute walk from downtown. The beach was full of people enjoying a beautiful day. There were also lots of boats anchored close to shore. Daniel enjoyed playing while Todd and I watched the boats coming out of the channel and took in the sights of the area. Another beautiful town! We arrived in Holland around noon and headed for the beach and lighthouse. 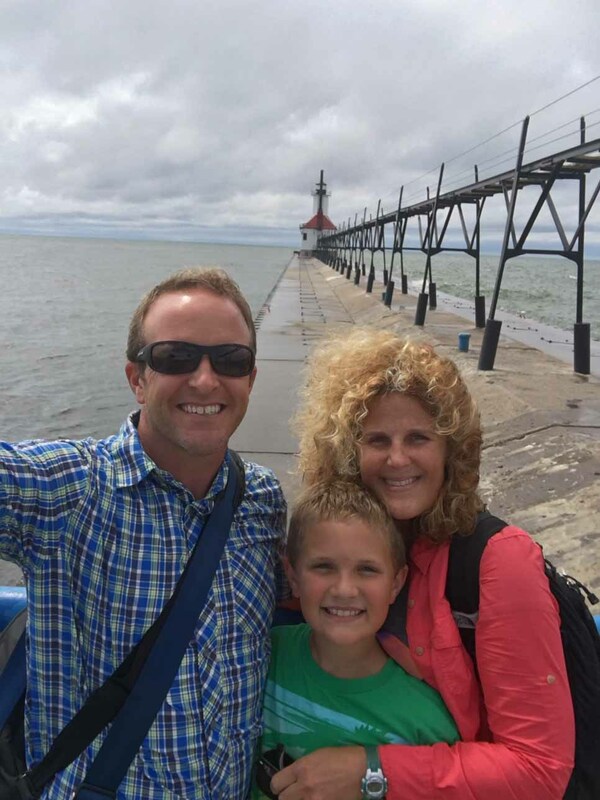 We were first struck by how big the Holland area is… the town is quite large and there are lots of marinas, cottages, snack shacks, etc., on the way to Lake Michigan, which is about 4 miles out of town. The lighthouse area is great… a very large beach, free public parking, a large snack bar, and washrooms with foot showers. It was VERY windy the day we were there and sand was blowing everywhere. 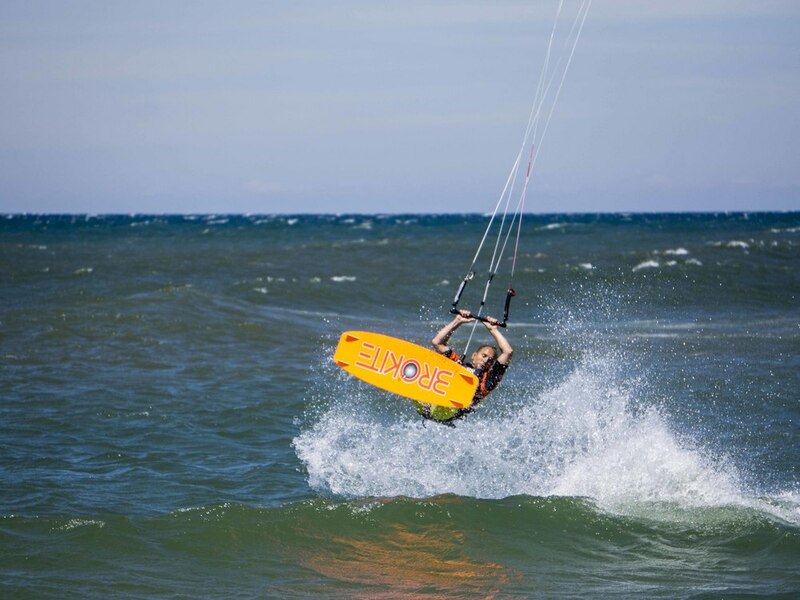 Instead of walking the beach, we walked the pier and watched the huge waves and a few kite surfers who put on quite an awesome show! After some time at the beach we headed to town to check it out and to stop at the New Holland Brewing Co. for a drink and a snack. The town is beautiful… flowers everywhere, beautifully kept little shops and restaurants, a park in the middle of town, and people browsing around. It was Sunday and a number of the shops were closed, but we did stop at Moynihan Gallery & Framing. Moynihan Gallery & Framing is much more than a gallery and framing shop… definitely worth the visit… I got a beautiful Christmas tree ornament of the Great Lakes for Daniel, Todd, and I. 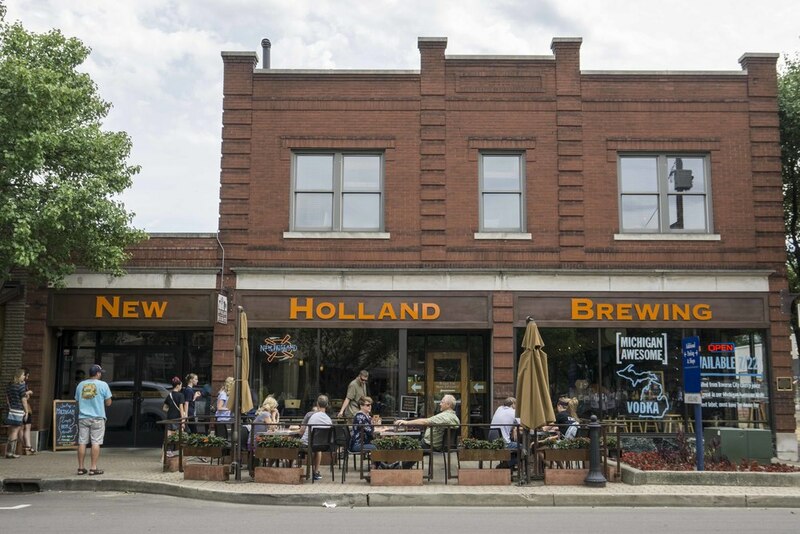 We really enjoyed the New Holland Brewing Co… we sat outside in the beer garden which is a great place to relax. It’s very kid friendly and welcoming to families. 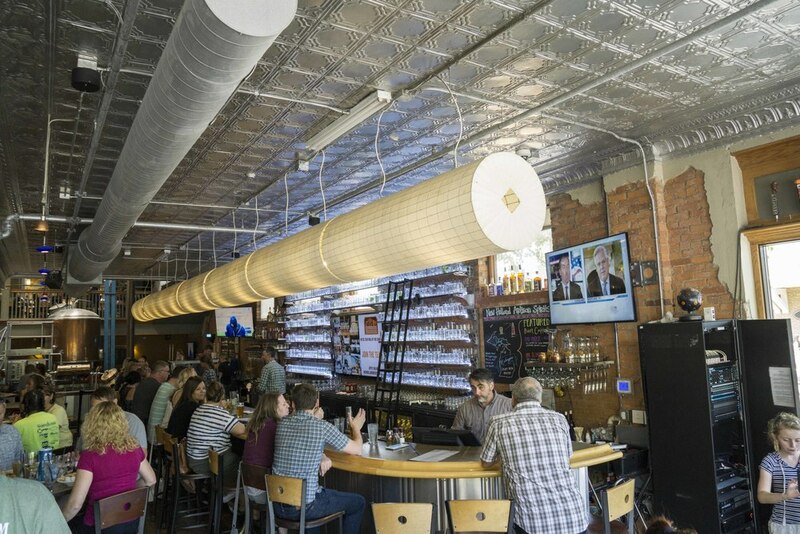 New Holland Brewing Co. serves its beer, the spirits it makes, and has a small wine list. Todd and I each had a salad, Todd’s Mom had the artichoke dip, Todd’s Dad had the chili, and Daniel had pizza. Everything was very good. We didn’t make it to the windmill and garden area, which is close to the town… we arrived in the late afternoon and it was about to close. 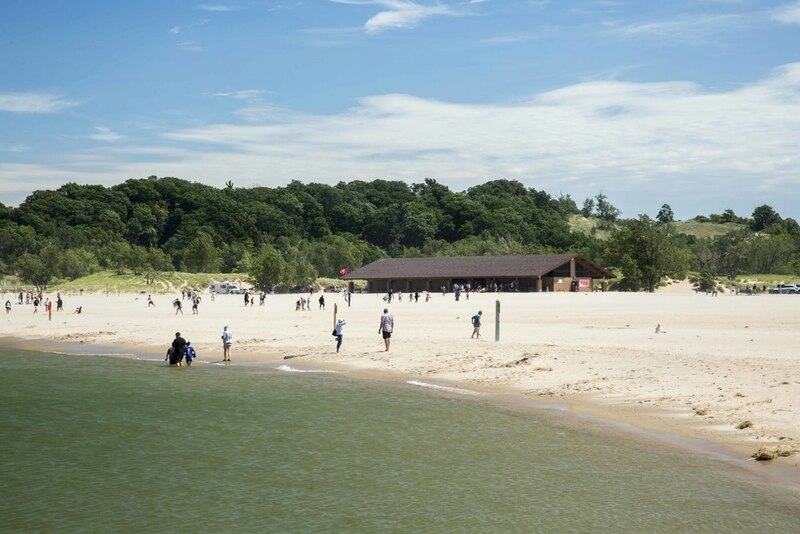 Our last stop on this leg of the trip was Saugatuck, well known for its beauty and charm… it lived up to its reputation! 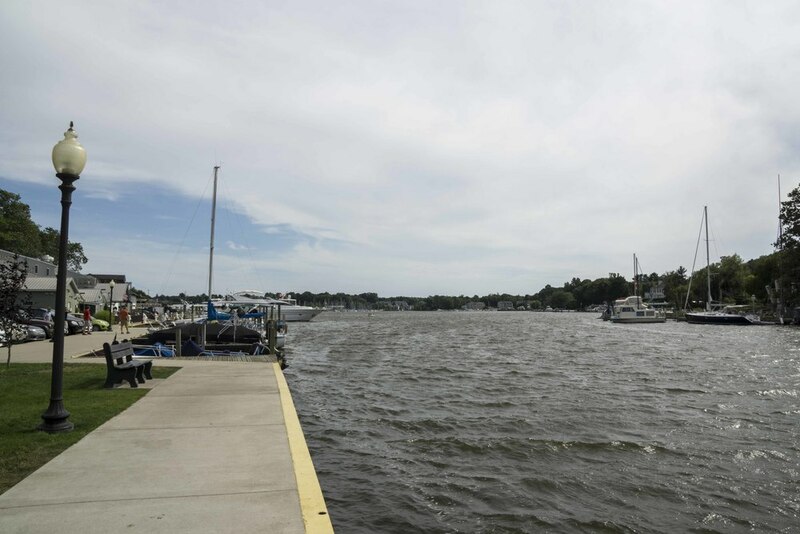 The town of Saugatuck is on the lake, which is different from the other towns we visited and we loved the change… it was really fun to walk along the docks. After walking along the water we browsed through town. 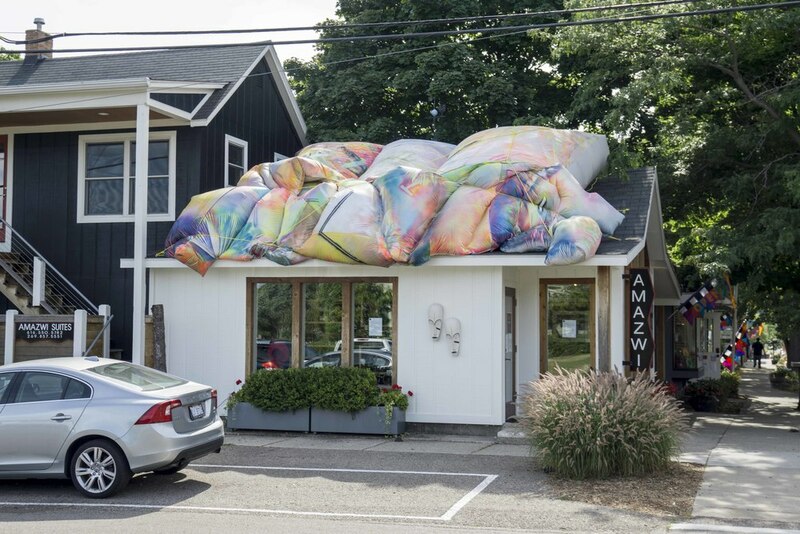 One of our favorite spots is the Amazwi Contemporary Art gallery. The art is all from Africa and is absolutely beautiful. The store is full of neat finds at all different price points. 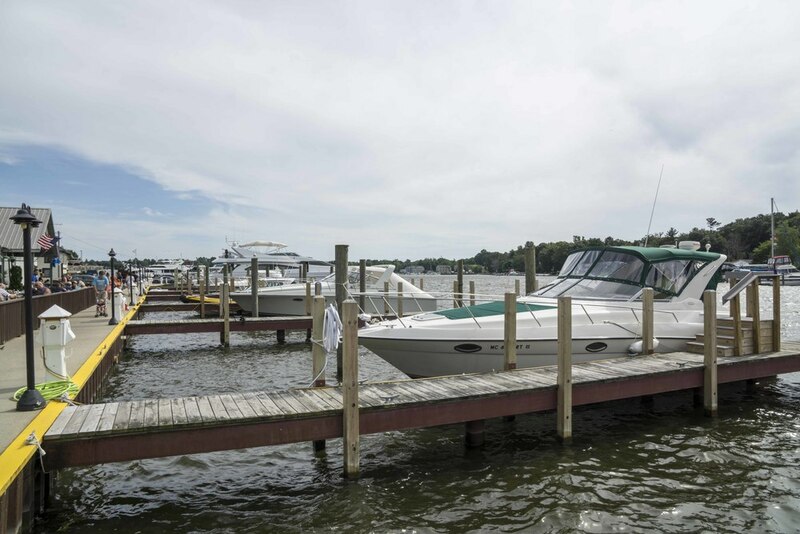 Saugatuck has lots of restaurants to choose from. We had done some research and had a couple earmarked, however after walking along the marina we decided that we’d like to sit outside and looked at the options. We chose the Mermaid Bar and Grill, which has a great patio right next to the docks. The Mermaid Bar and Grill has good reviews and we thought our food was good, but not as good as the other places we’d eaten in the area. Before leaving town Daniel had to sample the ice cream. 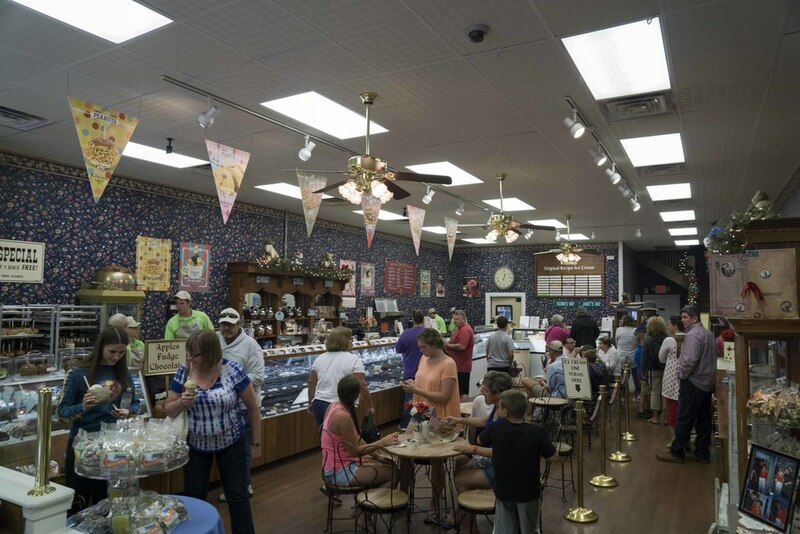 We stopped at The Sweet Shop and Daniel had the best ice cream of the trip so far… Michigan Pot Hole! This is some awesome ice cream… dark chocolate ice cream with tons of chocolate pieces! The towns we visited in this leg of the trip are beautiful, fun, and welcoming. 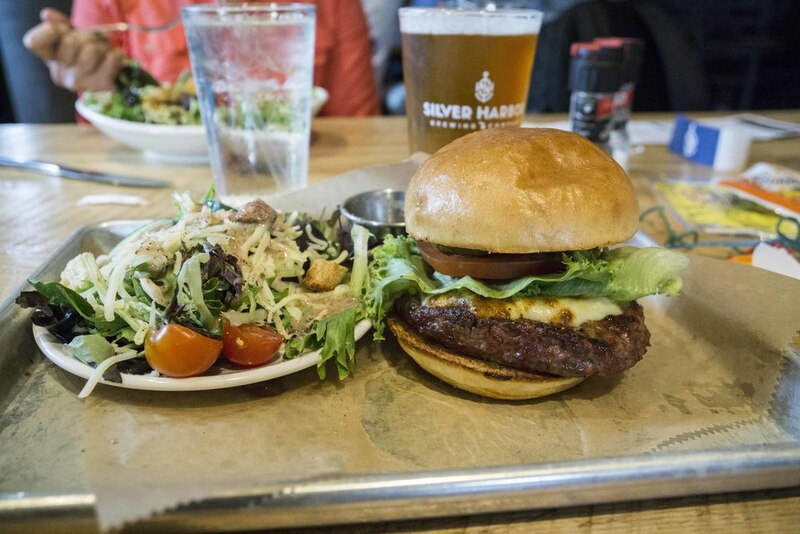 They all offer lots to do and there are tons of great food options. As we left we agreed that 2.5 days was not enough time to really experience the towns and we’d love to come back and spend more time! Newer PostSilver Lake... 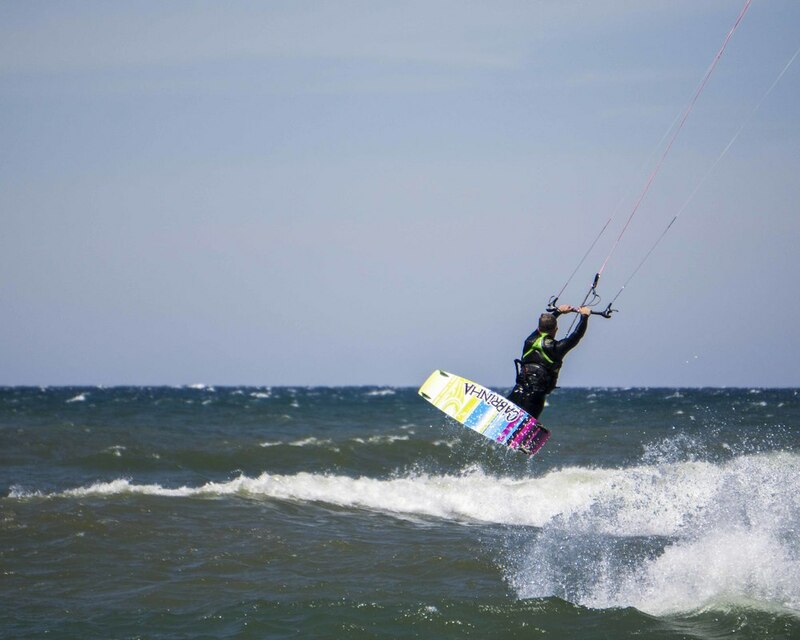 Sand Dunes And More!